Choosing the right flight instruction is important. We all enjoy flying for those memorable good times - the perfect smooth air of a dawn takeoff, having tailwinds both ways on an important trip, or flying an instrument approach to minimums with needles perfectly centered. Primary flight training prepares you for the good days, but often falls short when it comes to real-world operations. When things don’t go as planned, when equipment fails unexpectedly, or when the weather starts to fall apart you have to fall back on your training. Are those three hours of “hood time” from 10 years ago sufficient? True pilot proficiency takes a commitment to ongoing training. Whether your goal is cross-country all-weather operations, exploring our beautiful local mountain airports, or just touring the area on a nice summer morning you can benefit from regular training. Challenged by crosswinds? Intimidated by ATC communication? Unfamiliar with high density altitude operations? 20 years out of instrument proficiency? Enjoying regular training can ease your concerns and bring an enjoyable new challenge to your flying. When you make the decision to move past training aircraft the learning starts anew. If you are operating complex systems, moving faster, flying in the flight levels, or ranging farther from familiar territory it is important to know your aircraft and feel comfortable at the controls. 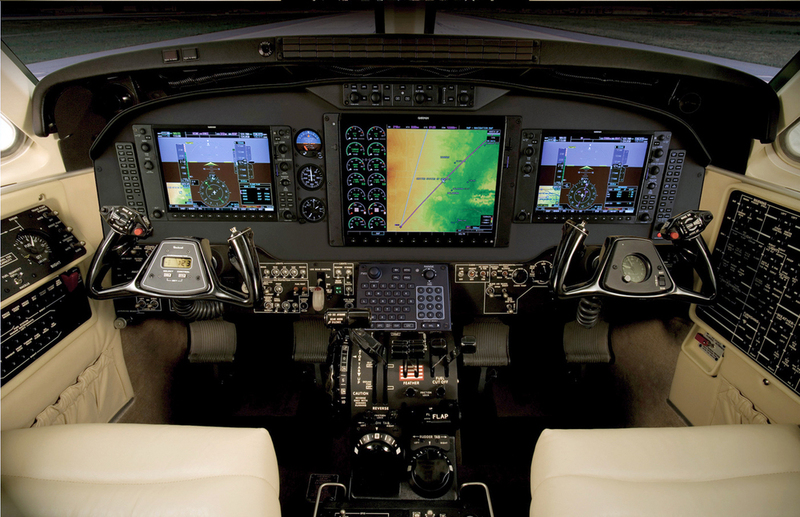 Whether you’re stepping up to the complexity of Cirrus’s Perspective avionics, looking at a piston twin, or ready for a turbine-powered aircraft we have the experience to guide you through the transition. Making that important business trip in your high performance airplane and it is snowing in Denver? We can provide mentoring and safety-pilot services so you can launch towards an airport reporting 200 and 1/2. We have experience in aircraft up to jets, avionics ranging from Garmin to Avidyne to Universal, and in the busiest of airspace. The glossy ad for that turbocharged airplane ad promised a cruise speed over 200 knots. And it will go that fast - but you need to climb into the flight levels to see those high true airspeeds. Maybe it is winter and the forecast for an eastbound flight features 120 knots of tailwind at 24,000 feet. Perhaps there is icing forecast for 18,000 feet and below. You may not plan to use all the airplane's capability on every flight, but it is important to be properly prepared for those times you want to go fast and far or get above the weather. We have all of the necessary oxygen equipment to operate safely at high altitude and can provide the training you need to be safe in that rare air. We'll talk about high altitude physiology, high altitude weather, and proper use of supplemental oxygen systems. Optionally, we can arrange a trip to the FAA's hypobaric altitude chamber in Oklahoma City. 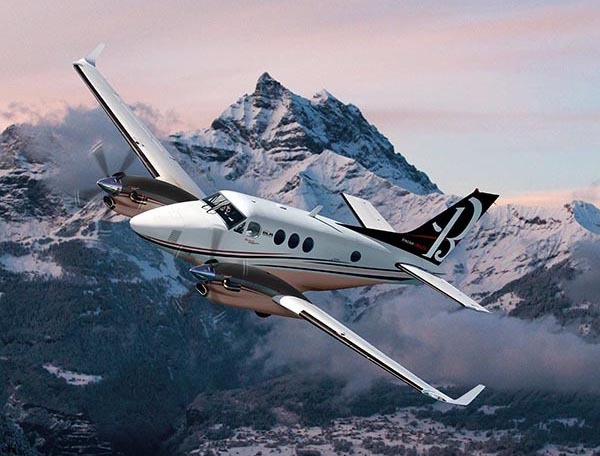 The instrument rating is about so much more than just operating in the clouds. Instrument pilots generally show a higher level of precision in their flying and have a natural comfort in dealing with ATC. When operating at night or in less-than-perfect conditions you’ll have the confidence to complete your trip. Sometimes it takes just a minute or two in the “soup” to get in or out of an airport with low clouds. Instrument training has changed dramatically over the last few years. Gone are the old days of just going out and doing practice approach after practice approach. To be ready to operate in the challenging world of single-pilot IFR in the mountains we make real IFR flights. You’ll gain proficiency in all phases of instrument flight: flight planning, ATC clearances, departure procedures, enroute operations, and instrument approaches. We also think a lot about alternatives when the flight cannot be completed as planned - the ability to adjust to changing conditions is a necessary skill. We can train in your airplane (be it traditional “steam gauges” or a glass cockpit airplane) or in a steam-gauge Cessna 172. If you’re out of currency and getting ready to head out into the weather it is critical that you have a thorough IPC. We’ll act out a complete instrument flight scenario - checking weather and NOTAMs, planning the flight, and dealing with things not going as planned. You can anticipate a precision approach (either ILS or WAAS LPV), a couple non-precision approaches (including circling), holding, and unusual attitudes. At four hours of ground and flight training this IPC won’t be the easiest one you’ve ever had - but you’ll have the confidence that you are not just competent at instrument flying, you are truly proficient. Operating to the high mountain airports of the Rockies can be one of the most enjoyable experiences in general aviation. The mountains provide beautiful destinations and great recreation, and also challenges unique to that environment. We’ll review weather patterns peculiar to the mountains, how to work around terrain that might exceed your airplane’s service ceiling, the intricacies of navigating mountain passes safely, oxygen use, high altitude operations, takeoff at density altitudes well above 10,000 feet, and more. For those on vacation in Santa Fe this can be a great way to experience the best that New Mexico aviation has to offer while your partner spends the afternoon touring the plaza. If you elect for a longer training program it can also be signed off as a flight review. We can conduct training in your aircraft or any of the rentals available in Santa Fe. Only see an instructor every two years? Make the most of it! We’ll review those ground topics that really matter to safe operations, I don’t worry about memorizing regulations or unusual chart symbols. In flight we’ll address those maneuvers you haven’t seen in a while and then spend most of our time in in the place people most often get in trouble, at the airport. We’ll seek out crosswinds, work on short- and soft-field landings, and review takeoff and landing scenarios that too often go wrong. You’ll leave knowing that you can stay safe and legal and also add some finesse to your flying.